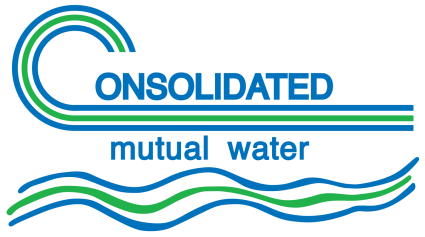 The Consolidated Mutual Water Company is a private, nonprofit, stockholder owned water utility. Design and construction of new infrastructure and system improvements within our service area takes place in-house. Click on a form below or contact us to set up a preliminary meeting. If you prefer to download the form and send it via email or mail, please click here. **By signing below, I hereby agree to the conditions attached to this application. Using your mouse, or your finger on a trackpad, please sign your name in the field below. If you are not satisfied with your signature, click on the circular arrows above the message and to the right to reset the field and try again. Once you hit the submit button you will receive an email with a PDF of your form attached. If you do not receive the email check your spam folder. If you still can not find the email then call us at (303) 238-0451. If the application is approved and the required Agreements and/or Permits are duly executed, the deposit is to be credited against the estimated cost as stated in such agreement/permit. If the application is denied or the required agreement/permit is not executed, any excess of the deposit over the preliminary costs incurred is to be returned, or if the preliminary costs are in excess of the deposit, the deficiency will be promptly paid by the applicant upon receipt of the Company’s statement. THE APPLICANT UNDERSTANDS AND AGREES THAT ACCEPTANCE OF THE PRELIMINARY DEPOSIT AND ITS DEPOSIT TO THE ACCOUNT OF THE CONSOLIDATED MUTUAL WATER COMPANY DOES NOT CONSTITUTE APPROVAL OF THIS APPLICATION. IT IS EXPRESSLY RECOGNIZED AND AGREED THAT The Consolidated Mutual Water Company does not offer or represent its ability to supply water for fire protection service, but under present regulations, merely permits connections for such service to be made in compliance with its specifications. The Company also expressly reserves the right to impose metering, regulations, and charges for or incident to such fire protection installation or the maintenance thereof, if and when the Company adopts a general practice in such regard, and any such regulations imposed will be subject to change by the Company at any time. Any contribution on the part of the Company toward installation costs will be entirely voluntary and will not necessarily apply to any other installations. Drawing coordinates to be in NAD83 CO Central Zone 502 and external references bound.